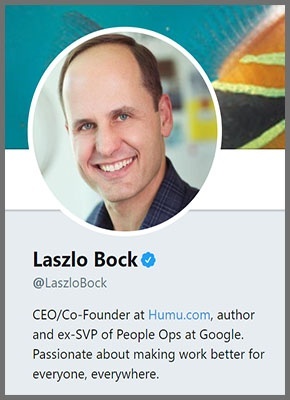 Laszlo is the former SVP of People Ops at Google who published “Work Rules”, which shares insights from his time at Google that are intended to help readers change the way they live and lead. Laszlo’s twitter account is a blend of personal thoughts and shared insights from the world of People Ops. 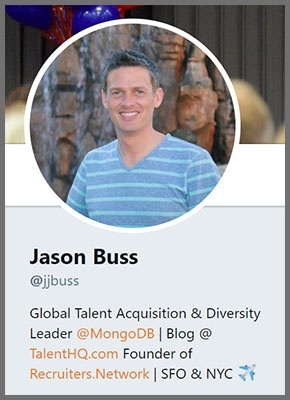 Jason is a leader focused on global talent acquisition and diversity. He draws from is expertise as founder of Recruiters.Network to share meaningful insights in talent recruitment. Ben is a human capital industry analyst, co-founder of the HRRevolution movement, and writer for upstartHR. 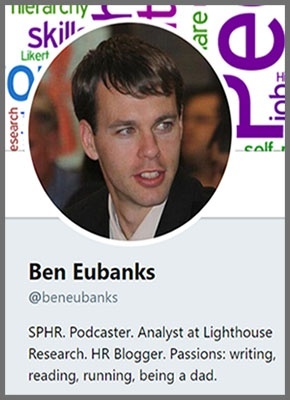 Ben uses twitter to share HR research findings and blog posts with industry insights on topics including performance management and the employee experience. 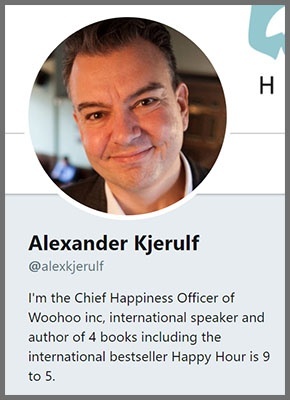 Alexander is the Chief Happiness Officer at Woohoo inc and author of multiple books, including “Leading with Happiness” and “Happy Hour is 9 to 5.” Alexander uses twitter to share research pieces and other content about happiness in the workplace. Lan is the co-founder and CEO of ManageUP PRM. 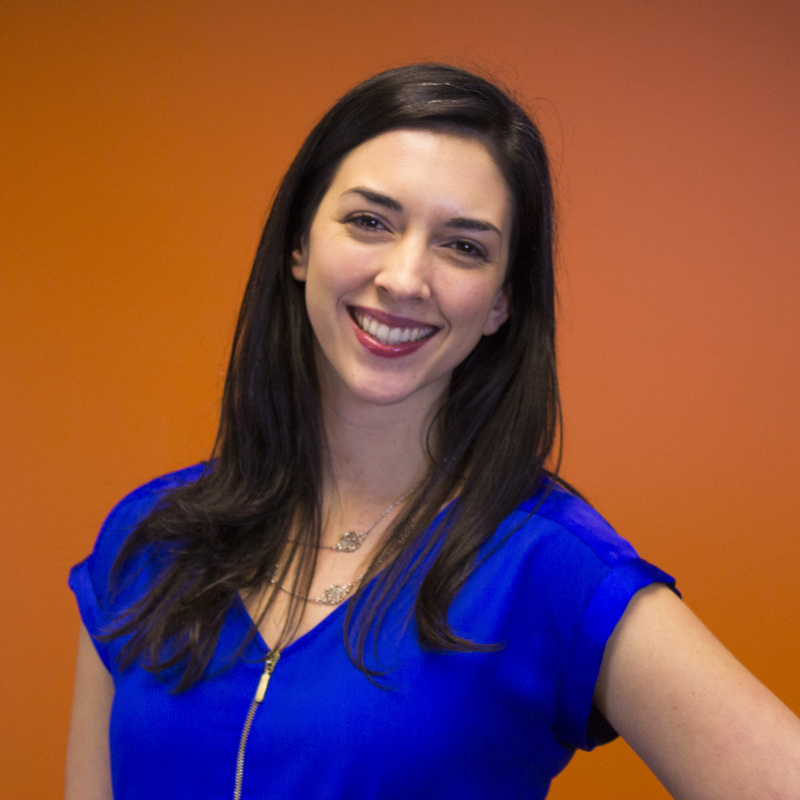 She focuses on driving employee engagement within healthcare to enhance patient care. 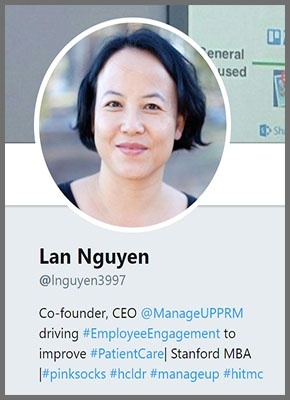 Lan uses twitter to share leadership and employee engagement insights that, though more specific to the healthcare industry, can be applied to leaders at all levels. Ally is a leader in employee engagement with extensive experience in creative communication. 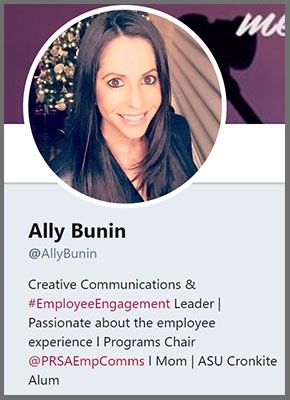 Ally uses twitter to share a range of HR insights with a specific focus on employee engagement and the employee experience. Now that you know where to start, are you ready to take action? Spend a few minutes a day challenging assumptions and learning something new. It may change the way you think and improve your leadership. 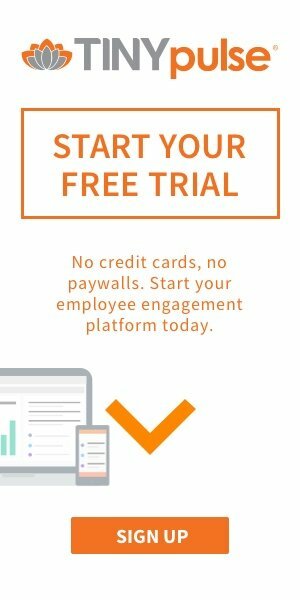 Find a great article you would like to share with the TINYpulse network? Let us know! Tweet your favorite articles and tag us @TINYpulse.